In Small Things Remembered » An English typing class at the Women’s Welfare Society sponsored by the Asia Foundation. Society sponsored by the Asia Foundation. Instructor Margaret Cudney, wife of photographer James A. Cudney, on left. The Asia Foundation began working in Afghanistan in 1956 and supported numerous initiatives. 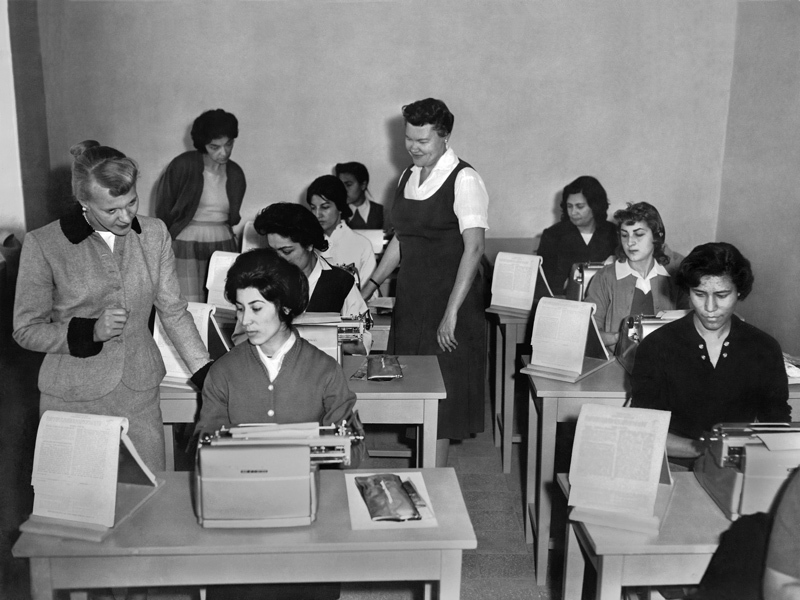 These included library development, physical education programs, music training in schools, and even typing classes.